Beauty Heroes Limited Edition Level Up Discovery Boxes Available Now! The Beauty Heroes Limited Edition Level Up Discovery boxes are available now! There are six Level Up boxes available! Well, I got a duplicate box. I emailed them because I think a bit of a mix up (I hope they are that busy..lol) because I still have not received the Ayuna box yet. Thanks for the tip Luna you’re the best! I just received mine today and it doesn’t say anything about that and I probably wouldn’t have thought to do it. I’ve gone back and forth on whether I should try it, my skin has become so sensitive and weird I hate wasting money on something that breaks me out or causes redness and sensitivity…you’d think at my age I would be long past all that but nah, it’s worse! Is it just the bean mask or should I keep the cleanser in the fridge too? Thanks again! I’ve heard a lot of good things about Mahalo so I’m debating about getting that box. Problem is that there are a lot of beauty products I want to try out so I’m trying to figure out where to put my money. 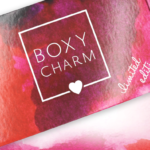 For those who will be purchasing a box, I just figured out that you can use code SMARTBEAUTY10 for 10% off. I grabbed Ayuna and Mahalo as well. A chance to add to the light cream (I’ve been using as eye cream as well) and to try Mahalo period!!! I’m eyeing the true botanicals because of the vitamin C but I do have a vitamin c open and an oil to try. Sure were right about this subscription!! I wouldn’t be letting this go. Luna, the Mahalo box spoke to me the loudest! lol And I feel the same about hair care. I enjoy it, but skin care really does it for me : ) Enjoy your treasures! Luna, OMG, the items you mentioned (C booster and the Highlight of the Day) are the reasons I want the True Botanical and Mia Chia boxes. I wish there were a way to split boxes. I am curious Luna, you don’t like vitamin C or don’t like powder form? It’s done wonders for my ezecma and sun damage scars. Maybe your skin is sensitive?? Of course, we do t all like same things. I may skip the TB box and just grab the indigo balm. I think Mahalo is the one you say is the La Mer of green beauty. I follow that ambassador as well and she really talks it up as well. I really hope you like the Mahalo products in the box! I’d say they’re actually my top two favorite Mahalo products, but that’s not saying much since I love all of their products, so everything else is “a close 2nd”. 🙂 I really enjoy watching Danielle’s YT videos. I saw one of her latest ones where she mentioned about taking a break, so that was a bummer to hear. Good to hear Luna. This brand gets such high praise! I thought about the mixing aspect as well re: True Botanicals. My holdup is I like c serums in AM & it’s a big step for that time frame. Still mulling as BH can do no wrong for this newbie. I cannot believe how fast the Mahalo came! Dutifully our mask in fridge. Lol. It could actually be a few months.